My name is Shiferaw (Shif) Asrat and I set up and run Simien Trek tour business. 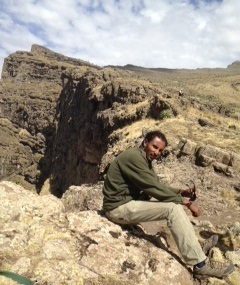 I am a senior guide in the Simien Mountains National Park where I have guided for over 15 years. I set up Simien Trek in 2006 and have arranged tours and treks for clients throughout Ethiopia. I work with a network of knowledgeable and experienced local guides who will show clients the beauty of Ethiopia. I arrange tours to include visiting sites, transport and hotels. I am also working on a new project – a beautiful luxurious lodge in the Simien Mountains National Park, for more details please see www.limalimolodge.com.